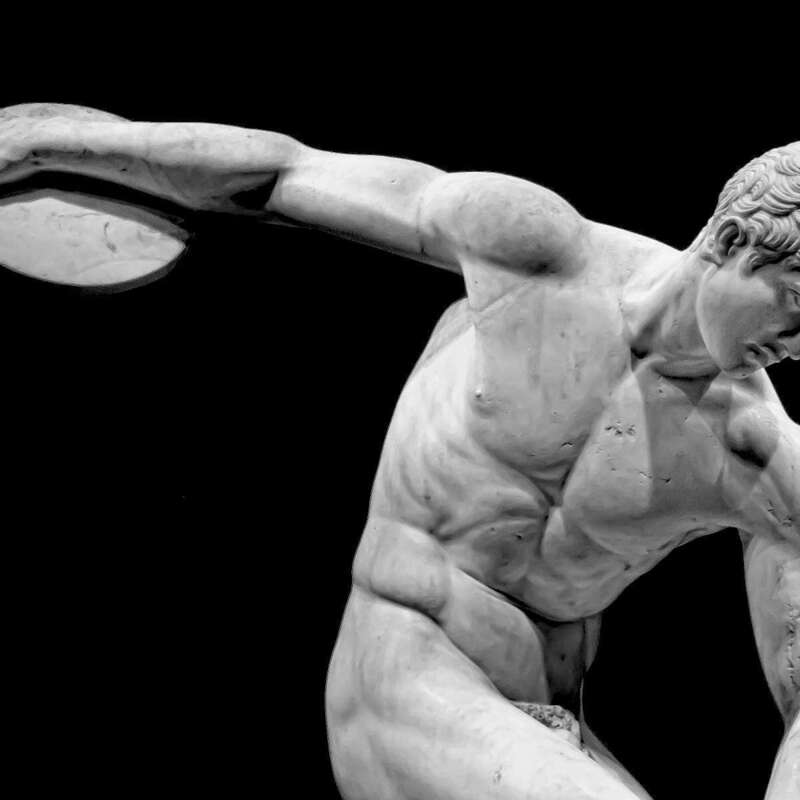 The idea of athleticism and beauty have been intertwined in western thought since at least the time of ancient Greece, but today its very easy to see athletics and beauty at cross purposes. Sports clothing is being both designed and marketed as a utility to improve and enhance the body beneath, with bright colours and overly busy detailing acting as the equivalent of racing stripes on a motor car or the extraneous details on a razor. Sportswear has always infiltrated the everyday dress code over time—as our last article described—and this century has seen brands from the world of yoga and track & field enter the fold. The athleisure trend though it draws inspiration from athletics is not strictly speaking suitable for those same activities. If you try and go running in cashmere sweatsuit you’ll have a bad time. 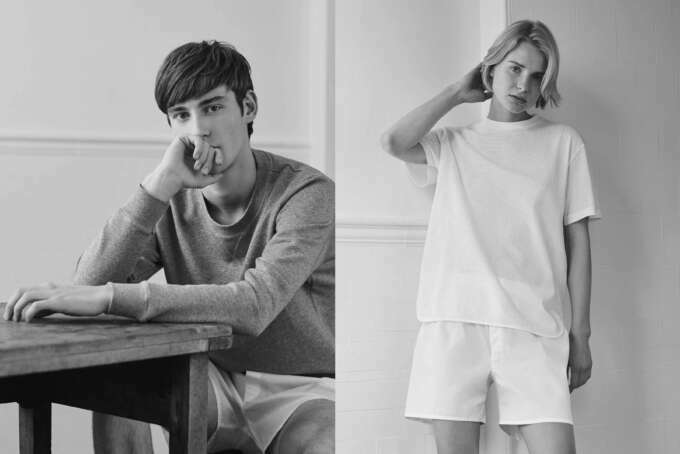 Lookbook imagery from Sunspel. 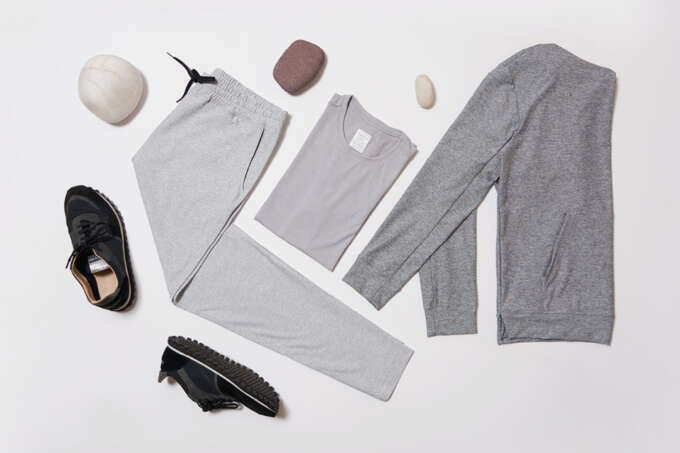 Athleisure draws on the athletic shapes and proportions to create comfortable loungewear but its doesn't match the qualities of modern technical fabrics. We’re not exactly jocks at Epochs. When we do go in for exercise it tends to be low key, enough to keep the beer belly from encroaching too far—running, soccer & gym visits. Like a lot of people, our workout gear is a pretty sorry mixture of semi-appropriate gear in loud neon and cheapish polyester, which is fine. After all, it's not about the looks. But what if it could be? A few companies have caught our eye for their approach that acknowledges the technical needs of modern athleticism while still seeing that the aesthetic qualities of sport are not neglected. Imagery from a Nike x Undercover campaign. Nike has never been a slouch when it comes to innovation and R&D in the world of athletic equipment. Their design language in the 1970s and ’80s defined the sneaker culture with its commercially savvy use of school colours to promote their designs. The 2000s saw them leading their competitors in searching for new avenues for athletic clothing and design to explore, and there had been some really interesting limited editions over the years by most of the major companies—Aitor Throup’s capsule collection with Umbro was a standout. Thus when Nike teamed up with the designer of Japanese cult brand Undercover—Jun Takahashi—for an ongoing season to season project known as gyakusou, it was a revelation. 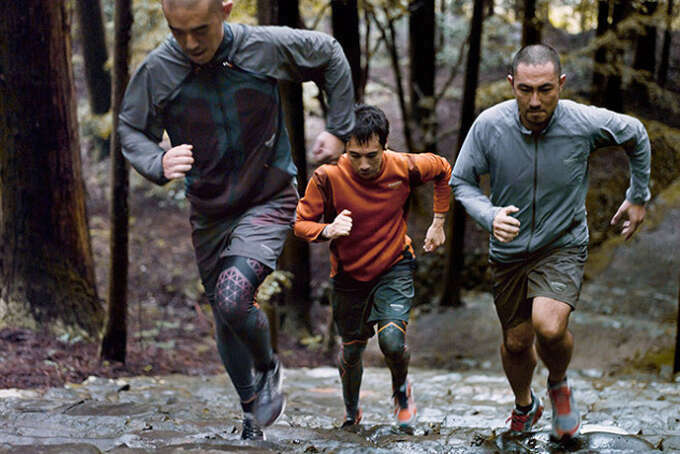 This was the first time I’d seen a thoughtful, measured approach to designing athletic gear in the modern era. Instead of blocks of bland melange or screaming neon the sinuous organic patterns and earthy colouring employed by the designer, inspired by traditional Japanese environments and allusions to zen monks marked Gyakusou as something unique in the sphere. Takahashi was an avid runner himself and refined his designs by drawing on his experience with the product. The Gyakusou line seems to have lost some of its initial appeal and is carried by fewer stores—I have to admit not being totally enamoured with the far more conventional shapes and colourways of the current collection—but it was a predecessor to much of the quality athletic clothing we see today. If you were going to pay high-end prices for the best workout garments, why shouldn’t they also be aesthetically pleasing? 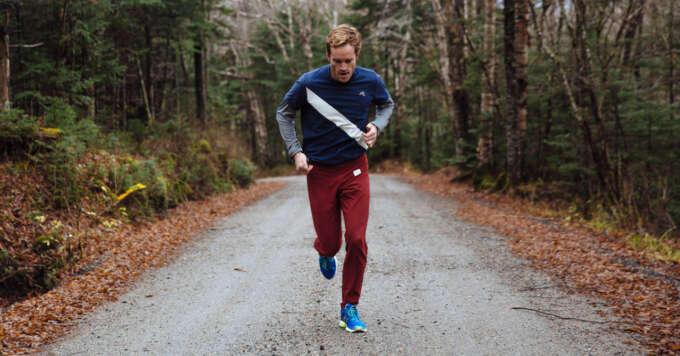 If Nike’s work with Undercover asked new questions about what aesthetic and design qualities athletic clothing could aspire to then a company like Tracksmith is looking back and saying “Why change at all?”. The Boston-based company has a classicist approach that sees the platonic ideal of athletics being the period between 1920-1970. Their designs draw on the minimally styled, jewel toned (slate blues, rich burgundies and deep greens) jerseys of that period with bold contrasting details like a sash design echoing that of University rowing teams from the early 20th century. Rather than feeling reactionary, this approach is deeply refreshing. There was something inherently elegant about those earlier garments that years of empty detailing and refinement by designers had obscured. It's a bit like seeing the hardwood flooring of an old house that had been obscured by dated carpet. The simplicity allows for an elemental quality that had been missed to shine through. It helps that the brand isn’t simply recreating archival designs, rather they are using the aesthetic to create modern technical fabrications. 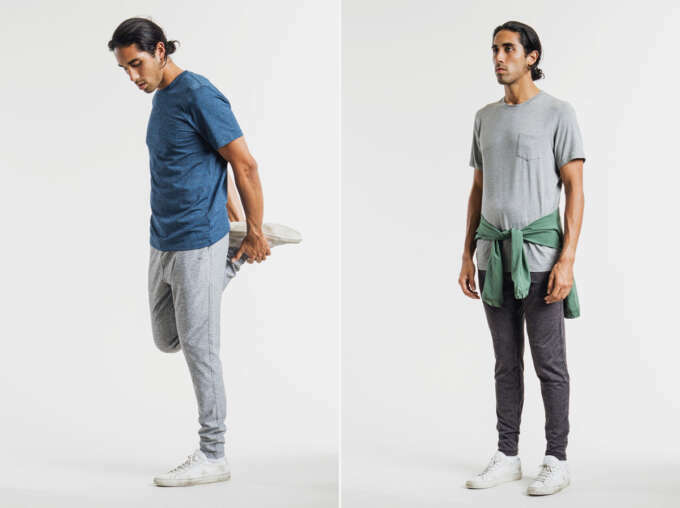 It's an approach that uses the best of the new—sweat wicking, cooling and hard wearing synthetic fabrics—with the enduring qualities of the old. Outdoor Voices are one of the more intriguing additions to the athletics market. They are neither futurists or retro. The designs draw on established forms but they aren’t throwbacks either. At first glance, most of the designs are so restrained you might think what's the big deal? This subtlety is the big deal. The fabrics are the same high-tech materials you’ll find in Nike or Adidas products but the clothes have an elegant, relaxed, and slightly oversized charm. They seem to have been designed as much to wear on a run in the park as when you're nursing a Sunday hangover. This sense of restraint spills over into the brand's copy. Their slogan is the purposefully low-key “Doing Things.” They’ve actively positioned themselves away from the intensely competitive nature of mainstream athletics product towards a more relaxed approach that rings true to most casual athletes. They are also the only one of these three brands that you could see outside of athletic context. Their runner's pant could look pretty smart with a shetland sweater and a camel coat. Acknowledging this, when apc revealed their new collaboration with the brand (which they have invested in) it was paired alongside smart garments from their main collection. This is essentially the case for all of these brands. We are now giving up a good proportion of our time and money to athletics and personal fitness. We should infuse these activities with elegance and finesse.